It has been 12 days since applications went in and the review board started the process of going through 700 passionate, hopeful packets. I’m beyond happy to hear about all of the interest and passion that others have for this project. At the same time, I’m naturally nervous about my chances of being selected for the next round. I wonder how many women applied? How many biologists? How many ambitious, fun-loving, algae growers? Did I properly convey my passion, skill set, research proposal, etc? Gulp. It’s so easy to start doubting yourself when you know that someone is judging you through a spattering of words in a few essays and a CV or resume. There’s plenty more you could have included to convince reviewers that you are the one they’ve been waiting for. It may even be nerve-wracking enough to think you shouldn’t even bother to apply. Hopefully, you don’t let your fears dictate your decisions. Putting yourself out there for people to see is a part of life that we must embrace. College. Jobs. Internships. Travel opportunities. Contests. Rewards certainly outweigh any nervousness or concerns. This is one of those many situations where practice makes perfect. The more eyes you invite to gaze upon your drafts, the more opportunity you have to learn from the experience of others. I once nearly didn’t apply for a interesting program. The deadline was a day away. I was jetlagged from returning from an internship. I didn’t think I’d be selected. But, I pushed through, determined and feeling a little silly from lack of sleep, and three months later I was in Thailand with Malibu Rum and Reef Check as a ‘beach intern’ getting my island on. If you are a doubter, just ask yourself ‘what if?’. 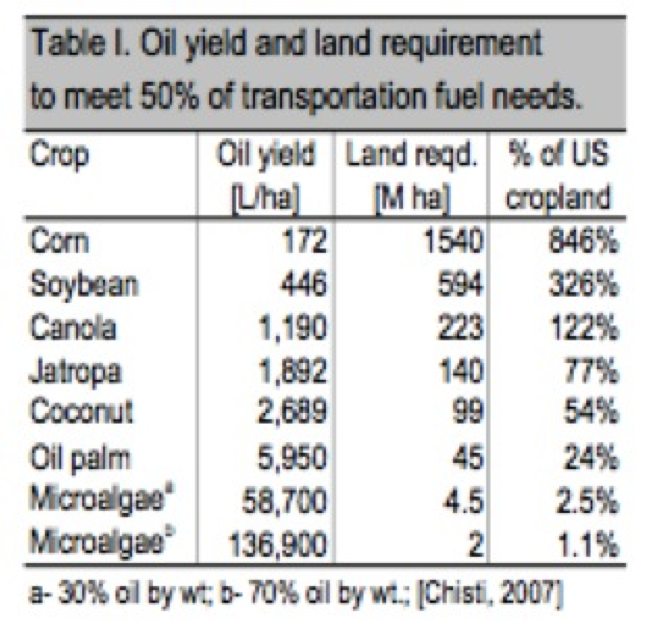 Emphasize the importance and viability of algae biofuel compared to other biofuel sources (Table 1). Started this blog earlier so that I could have focused on it within my Online Activity essay. Have my ol’ college chum, Sara Ferguson, look over my CV. What will you be applying to next? Are you nervous? Fellow applicants, what would you change/add to/remove from your application? I reviewed the application, etc. and am happy with what I submitted. There may have been some minor tweaks, but no major revisions. I would however alter some of my blog posts. I seem to have gotten away from the light comedy that made the first week of blogging work and have entered more serious ground. So, this week is about making that correction. As for next round of applications… I haven't gotten that far. I want to see what happens with this first. Best of luck with this week's blog posts! I have some light-hearted ones planned as well. I feel the same about wanting to see what happens here before moving on to other projects. I can tell the waiting is getting to me. I'm pretty sure I had a dream or two about announcements! I am very proud of you, miss! There is a certain standard of ambition and boldness that is required to delve into such ventures and you have already proven yourself worthy in that very manner. Great things never happened to the faint of heart. These are not easy or simple endeavors. Don't be too nervous about the results… Be proud you are here where many others never even attempted. Thanks David for your support. I hope you can consider this evidence in support of the fact that I listen to ALL of your ramblings and take each one of them to heart. What would I have done differently? Well, I think I would have liked to put a more professional proposal together. I found out about the project just two days before the deadline. I spent one whole day giving it some thought, and then spent half a day putting it all together. I felt like I was at a disadvantage as a retiree, not having a lab or an institution to back me up. I applied anyway, seeing as how I spent a lifetime in research labs, and a few other places, like working for a carnival, which could possibly be a useful skill. In hindsight, I would have liked to address every aspect of the required and desired skills, as my qualifications on paper are not as perfect a match as I would have liked. I firmly believe I could be extremely useful as part of any exploration team, but I have no equipment for research, just a lot of experience in various fields. Hi Terry! Thanks for commenting! I don't get enough of these. I'm glad you still applied with such short notice. I know a lot of people were disappointed that they didn't hear about it until after the deadline. I agree that you may have been at a disadvantage without a lab or institution, but it's silly really, because the qualities that someone would have are WAY more important than providing an entire research project. Let me know if you hear from the review committee this week! Best of luck!